> Hey! Want to be Inspired? I have something to admit…. It’s not something I ever thought I would have to write…. I have a guy crush. 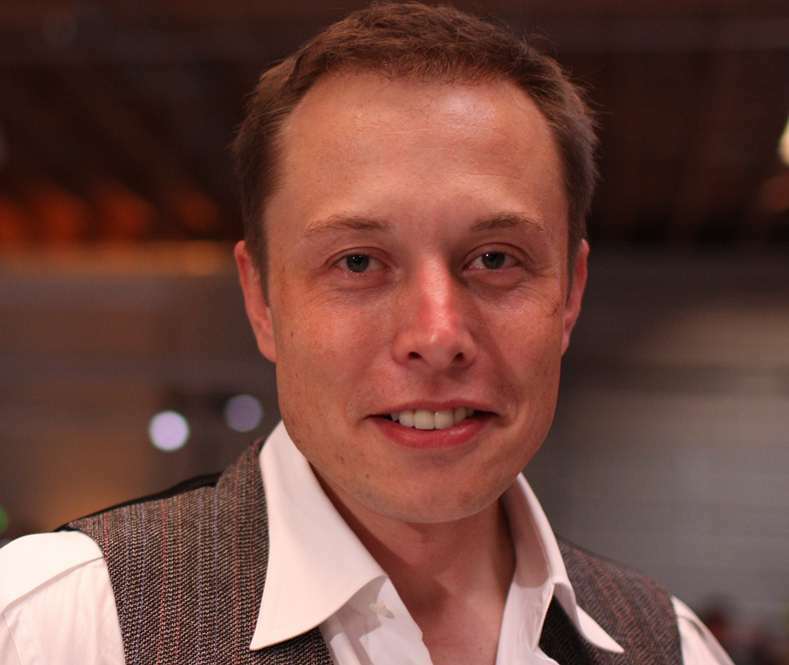 Not just any guy though, I’ve developed a fascination with Elon Musk – or more specifically his companies. Whenever I mention the name Elon Musk to anyone, the first thing they seem to say to me is ‘Who?’ Well, let me tell you, this guy is pretty impressive and his bio is well worth a read on Wikipedia. For the uninitiated, Elon was co-founder of Internet darling of the 90’s, the universally known PayPal. One of the only companies to make, what was an unprecedented, exit (of $1.5 Billion), during the height of the Web 2.0 bubble, netting Musk a pretty penny ready for his next adventures. Those next adventures are what really excites me though; Tesla Motors, SpaceX and a stake in SolarCity. With such an impressive CV, it’s little wonder that Jon Favreau chose Musk as his inspiration for the Robert Downy Jnr depiction of the genius billionaire Tony Stark for the “Iron Man” films. As a philanthropist, in the same style of one Bill Gates, Musk’s mission to combat global warming is well documented and SolarCity is a perfect example of just how that work is developed. Whilst SolarCity isn’t the only solar panel provider on the planet (they seem to be popping up everywhere), but knowing Elon Musk’s commitment to the cause, I feel that SolarCity is exactly the type of company I’d want to do business with; as a company that I could trust and be safe in the knowledge that the technology is very well developed. Solar is still a technology that absolutely fascinates me and one day I hope to have the capital to install my own panels and help the cause. I’m glad Elon has a stake in solar technology and it’s the perfect accompaniment to his other companies. I’ll freely admit for a long time I’ve not been convinced by the electronic car; maybe it’s the petrol head in me, maybe I’ve watched far too much Top Gear, or maybe it’s because electric cars have never made that much sense to me – I mean, what happens if you run out of power, most petrol stations don’t have a free plug for you to charge up from….yet, and nor do I think I have the time waiting for batteries to charge up, when it takes only a couple of minutes to fuel a normal car. However, I’m coming around to the idea – and the reason why, again, is that I’ve been and visited the Tesla Motors website and took a look around – and I have to admit, those cars look pretty impressive. I’d even go so far to say that should I ever raise enough money in my life to buy an expensive car, I would have to think really long and hard as to whether I’d buy a Ferrari (full of history and racing pedigree and passion), or a Telsa. And that is a bold statement from me, as a Ferrari lover. Somehow though, electric vehicles are becoming the norm and just like my desire to switch to solar, I also have a desire to switch to electric cars too. Whilst I don’t think that is likely to happen any time soon (I’m far too poor to buy a new car right now – plus the one I have provides with me way too much fun), perhaps my next will be something a little more on the eco side. Telsa, named after the intentor Nikolas Tesla, is Musk’s car company. It was the first to produce an all-electric car and what’s more, it’s a car that appears at the very top end of desirability. Everything about their cars oozes perfection and elegance, yet they also somehow appear to blend in and look very much like a normal family saloon – something which can’t be by accident and more by design. As if fighting climate change, energy shortages and launching the world’s first all-electric car company wasn’t enough after founding the PayPal Mafia, Elon’s next company really is out of this world. SpaceX is exactly what the name suggests – a rocket company, whose mission is to conquer space and pickup exactly where NASA left off now that their rockets are no longer flight-worthy. SpaceX is a company that every little boy could ever dream of wanting to own and be a part of. They have built rockets, shuttles, buggies and capsules capable of manned missions to space and also thegoods lorries of outer space – shipping supplies and parts to the International Space Station and also laying claim to be the first non-government funded rocket ever to dock with the ISS! To believe that one man has created his own space going company is amazing and to understand more you really do need to spend some time on the SpaceX website reading about all of the different rockets and components, test plans, successes and failures along the way to build this company. It really is outstanding. Yet, for Elon it is just another day in the office. If modern day living is all about computers and software, industries built and pioneered by Bill Gates and Steve Jobs, their companies and those that emulated them, then in my mind undoubtedly, the next name in line has to be that of Elon Musk. A software pioneer who set out to build a payment gateway for the modern world, but seemingly became distracted by a much bigger objective; a goal to reduce our needs on fossil fuels, create smarter transportation and to reach for the stars. A man who’s blended software, science, technology to build three outstanding companies – he has to be an inspiration for most people. I know I’ll certainly be keeping a closer eye on the achievements of all of these companies and the “what’s next” for Elon Musk. Below is the Fireside Chat from the PandoDaily website, featuring Sarah Lacy interviewing Elon Musk who speaks about all of these companies, the what’s next, his plans to retire on Mars and basically leaves the audience with that ‘wow’ and ‘inspired’ factor.